One of the top causes of world hunger is the focus on the production of animal-based foods. A breathtaking 925 million people all over the world, mostly in the underdeveloped and poor countries of Africa and Asia, are suffering from hunger. Out of those, 870 million are suffering from malnutrition. The 925 million hungry outnumber the current population of the European Union, United States, and Canada, combined. The world contains so many people plagued by hunger to almost fill up two continents. 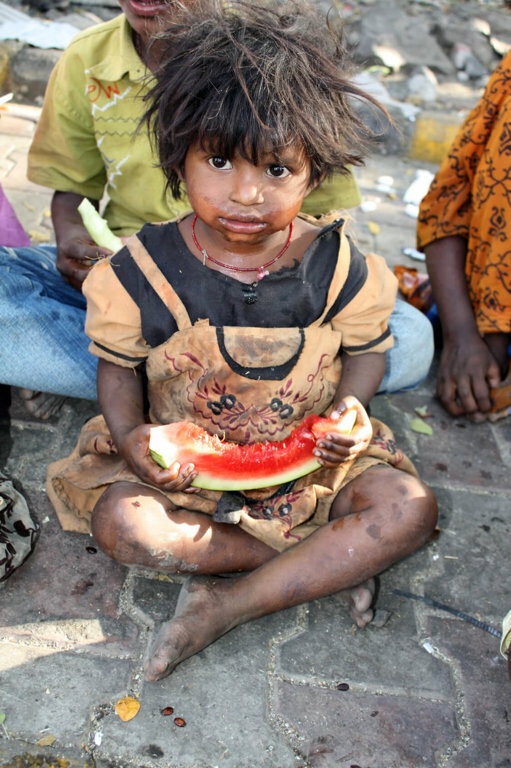 On a yearly basis, more than 2.5 million children under five years old lose their lives due to starvation. Nonetheless, it is a fact that the Earth can provide enough food to nourish every last person on the planet. But, if that is so, how is it that people around the globe keep starving? A big part of the answer has to do with the production of food that is based on animals, such as dairy, meat, and eggs. Although there exists enough plant-based food to nourish the entire human population, most of the crops are fed to livestock for rich nations – not excluding the crops grown in starving countries. Add the fact that it takes a lot more plant food to produce animal-based foods causes a compromise of the food supply chain, ultimately leading humans to starvation. For example, consider the food (mostly comprising grains) that a cow consumes in its 18 to 24-month life (that’s when most cows are slaughtered for meat on average). If you could pile up all that food, you would end up with a mountain of food provided to the animal to live all those months. It gave him the required energy, it restored his cells, grew his muscles and bones, and allowed his heart to beat and his lungs to draw air. Now, imagine that cow is slaughtered and cut into pieces of meat. If you place the meat on a pile next to the first one, which one would be enough to feed more people? The pile of meat that comprised the cow’s body, or the mountain of grains that fed and nourished it? This equation is the basis of the unsustainability and irrationality of animal farming. The production of soybeans and corn globally accounts for millions of tons. Approximately 40 to 50 percent of the corn and 80 percent of the soybeans are directed towards feeding animals that are to become human food. In a study conducted by researchers from the Institute on the Environment and the University of Minnesota, scientists investigated agricultural resources and the problem of world hunger. It was found that if humans consumed the crops instead of feeding them to animals, the world supply would be enriched by approximately 70 percent more food, which would adequately support another 4 billion people. The surplus alone would be sufficient to feed more than half the Earth’s population, many times more than the 925 million hungry people of our time. Livestock is doing a poor job converting the food they eat into muscle and energy, which is evident from the need to feed 13-20 pounds of grain in order to increase a cow’s muscle mass by 1 pound. The direct consequence is that 13 to 20 times more people could be nourished if those grains were simply consumed by them directly. In the same manner, approximately 7 pounds of grain are required for one pound of pork, and 4.5 pounds of grain are needed to grow one pound of chicken. The animal agricultural system is even more flawed if you think that cows and other grazing animals, which provide dairy, meat, and leather, were never evolved to eat so much grain as the farming industry feeds them. They were meant to consume grass instead. But since current demands for animal products are so high, and farmers are compelled to increase their production quota and speed, they feed the animals immense amounts of grain like corn. That’s why industrial farming only needs 18 to 24 months to get a cow to the desired weight and then kill it. A constant grain diet (that could have fed many more humans instead), and growth hormones, make this possible. Still, grass-fed livestock is far from a viable option. Grazing puts native and endangered species at risk through displacement and destruction of their habitat, while also causing erosion that can create deserts out of fertile farmland. According to reports by the U.N. Food and Agriculture Organization, approximately 70 percent of the Amazon rainforest has been cut and burned so that cattle can have more grazing space. In the end, regardless of being used to grow feed crops or to feed grazing animals, when land and other natural resources are exploited to produce animal food products, horrible inefficiency takes place. Economic and political experts are projecting that water, food, land and other precious natural resources that humans need to survive will be the reason for future wars. As the human population has grown past the 7 billion mark in an ascending trend, it is only natural that resources will become even scarcer. The time for a solution to world hunger, a global crisis, has come, and what should be done is self-evident. If we want to ensure that every individual can be fed, we must contemplate deeply and pick the most healthy, compassionate and sustainable path. Veganism.